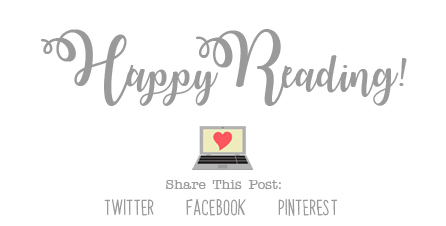 This year I am on a mission to read more historical fiction novels, and The Light Over London by Julia Kelly was one of books I was most excited to check out this season. This is the very first book I’ve read by this author, and I was super curious to check it out. It did not disappoint!! I have to say that the storyline for this book was very interesting. The story is set during World War II, and is told in both past and present narrative. The past parts of the book are told via an old World War II diary that the main character, Cara, discovers while working her job as an antiques dealer. The more she reads the diary, the more curious she becomes about its author, Louise, and the life that she had lead. Determined to find the author of the diary, Cara sets out with the help of her new neighbor, in hopes of returning it to its original owner once again. I haven’t read very many historical fiction novels set in WWII, but I’m definitely trying to read more, and the more I read them, the more I want to read MORE of them. Of the ones I have read so far, this book is definitely one of the lighter reads. While it did talk about things that happened during the war, that wasn’t the main focus of the book. (That did not make the story any less enjoyable, I should add.) I loved reading the historical parts of the story, (I seriously can’t get enough of them), and reading about all the things Louise went through during her time in the women’s branch of the army was really interesting. I can't imagine doing all the things that she did, but it was definitely fascinating to read about. And, oh did she definitely have an interesting story to tell. I also enjoyed Cara’s part of the story as well, including her discovery of the diary, and all that she had been through as well. The relationship growth between her and her new neighbor was super cute, and I really enjoyed those parts of the story as well. 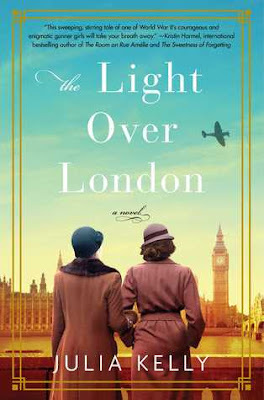 Overall; The Light Over London was a quick, interesting World War II era read! I really enjoyed the lightness of the story, and I flew through the pages faster than I expected to. I definitely need more books like this in my collection, and I’m hoping to read more soon! I will definitely keep my eye out for more books by this author as well. I really liked this one as well! I am so excited you are going to read more historical fiction. I look forward to your reviews!